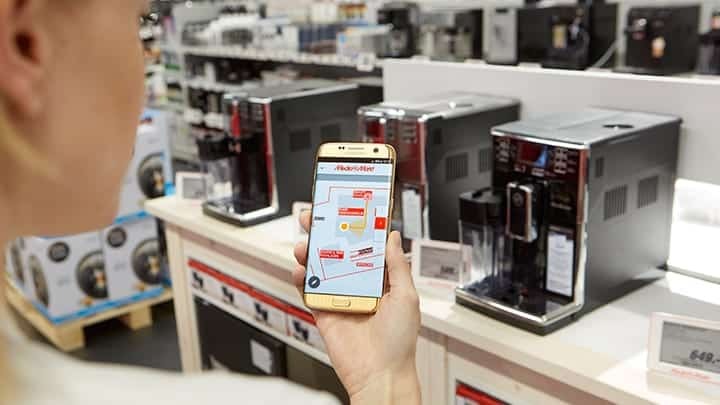 The “Store Guide” app uses the indoor mapping and routing from Aisle411 combined with a highly accurate Philips Indoor positioning system. "MediaMarkt is keen to go ahead with innovations in the field of shopping." We instantly interested in Philips' LED based Indoor positioning system. It's very accurate and easy to maintain."